The training gondola is an old friend. So old that it is no longer fit for tourists. But there is still time for one final trip before it is retired. Stricken with amnesia after slipping on a banana peel, Athena slowly recovers all her memories. Well. all save for those involving Alice, with whom Athena had been fighting just before the accident. Alice is, of course, distraught. Alice is also gullible. She should have noticed that the other Undines were happy to let Athena walk off her physical-trauma-induced amnesia. The daily horoscope asserts that someone Akari knows is in love. Who can it be and who is their secret love? The bit where the kitten chomps poor President Aria on his chubby tummy reminds me of the time my cat Ophelia noticed what she apparently thought was a fur snarl on my tomcat Blotchy (who just happened to be the first male cat she ever encountered). He had just been rescued from the street and still had all his original equipment. She took advantage of the fact that he was asleep to helpfully bite him firmly in the testicles. 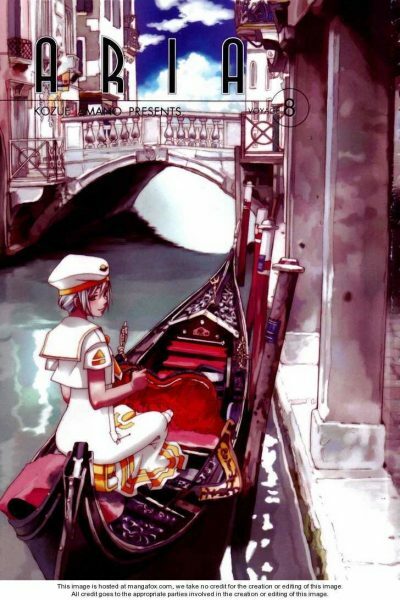 Mere hours after hearing one of Earth’s old ghost stories, about the shade of a convicted murderess who preyed on naive gondoliers, Akari gives a ride to a mysterious veiled woman who wants to go to St Michael’s (Neo-Venezia’s recreation of Venice’s famed funerary island). Is it only coincidence that the veiled woman wants to go to the same destination that the earthly ghost was forever trying and failing to reach? (While leaving behind dead gondoliers.) Will Akari be the latest victim? What is it about Akari and supernatural encounters? Akatsuki sneaks behind Akari to see her “precious secret place.” He pulls her ponytail to let her know that he has succeeded. 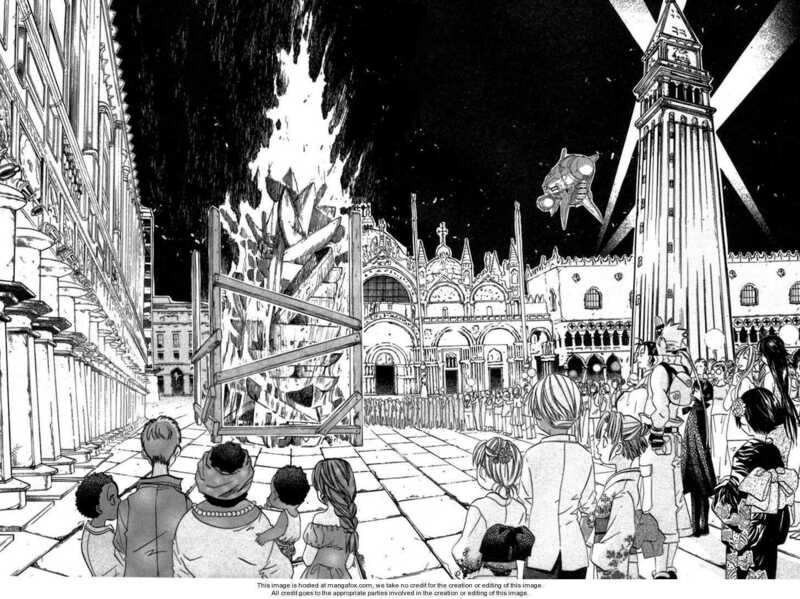 Akari’s precious secret place is a bridge that affords a good view of the plaza of San Marco; access to the bridge is difficult to find. Akari does not throw Akatsuki from the bridge, but she probably could do so if she tried. I bet Undines have impressive upper-body strength. As summer winds down, it is time for celebrations. Also for another Neo-Venezian ritual: the annual cremation of gondolas that have reached the end of their useful lives. I guess the gondola did not really move to a nice farm somewhere upstate. Is Woodie (the airbike courier introduced a few volumes back) a grown-up Calvin from Calvin and Hobbes? This volume featured more … death-and-bereavement than I expected from a gondola-based utopia. When the manga is not dealing with bereavement, it’s giving us a glimpse of the sad fate of those who refuse to let go. As far as I can tell, this volume is not available in English.